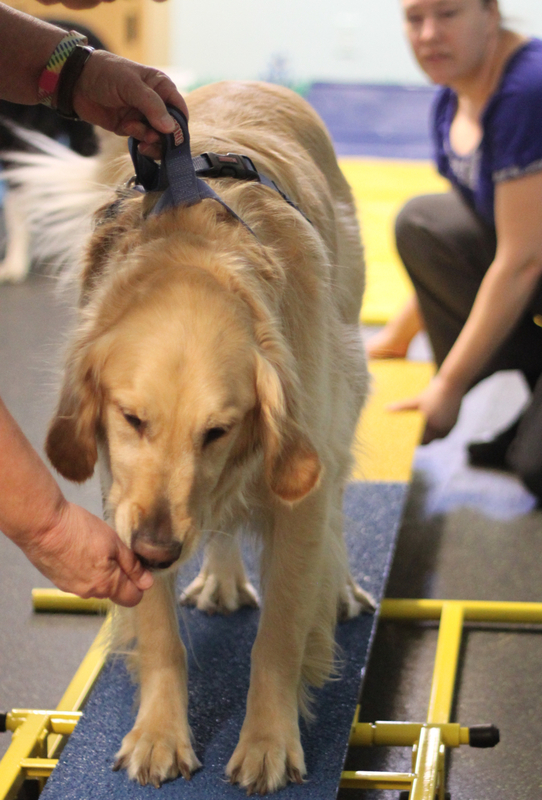 * Unique dog challenges — we create a safe, focused, learning environment that is designed to meet your dog’s needs. * Location — While we generally hold private sessions at our facility, we may be able to come to your home. Please ask us for more information. Email us at or call (509) 315-5135 to arrange for a private session! Do you have a challenging schedule? Several of Heather’s clients have odd work hours and, as a night person, she is happy to accommodate them. She can even meet with pre-paid, pre-scheduled, clients at the center until midnight on some days – and would love to offer a Midnight Mutt-ness class if several people would like to train together. Don’t think you can fit dog training into your schedule? Just ask and we’ll try to help! Is your dog showing negative behaviors due to fear? Do you feel badly that your furry best friend isn’t getting as much out of life as you want him too? Are you concerned for the safety of a family member, guests, or strangers because your fearful dog is exhibiting defensive or aggressive behaviors? Does your dog have a specific fear that you’d like to see improved on, but you aren’t sure where to start? Imagine your dog approaching life with more courage and enjoyment. Heather would love to help you! Fear is one of her favorite things to work with because she loves to watch your dog’s confidence grow – and to see you celebrate it. Picture your dog ignoring people on the street or greeting guests happily. You’ll love how much quieter it is when the doorbell rings, or when you bring out the vacuum or broom – or whatever item you dog has previously been uncomfortable around. And don’t forget how much safer everyone – including your dog – will be when they stop feeling the need to protect themselves from those scary things. A calm, confident dog is a safe, happy dog – and a safe, happy owner! Are you embarrassed or frightened when your dog barks or lunges at other dogs? Are you confused about why they do so well at doggie daycare, but are a mess when they are on a leash? Are you afraid that they are dog aggressive? Dog reactivity is often a fear issue, and one that Heather has had a great deal of success with. The best way to solve dog reactivity problems is to determine your dog’s threshold (where they are comfortable with other dogs being), create a plan to stay below it, and then to create lots of new positive experiences. We’ll figure all of this out together so you can use your new skills and help your dog be the perfect pooch you’ve dreamed of. Does your dog have a disability? Do you want to have a well trained companion, but aren’t sure where to start because your dog is blind, deaf, or maybe even blind and deaf? Heather has helped dogs with all of these challenges to learn and succeed. Maybe your dog has another physical challenge you aren’t sure how to work with. She enjoys thinking outside the box to determine the best ways to help you and your dog achieve your goals – regardless of the obstacles. Do you find the idea of a group class daunting for any reason? Are you nervous about your handling skills in public? Perhaps a group is too loud or active for you to understand well. Maybe you just aren’t comfortable in a group environment. We understand! Private sessions are a great way to get the help you want without all the noise and distractions. Heather enjoys helping everyone, humans and dogs, to learn in the ways that they are most comfortable and successful. Let us know how we can best help you and we will be happy to learn with you. Do you have a pet that isn’t a dog? Heather has worked with a wide variety of domestic and exotic animals, including large cats (lions, tigers, pumas, and more), snakes, parrots, many species of rodents, and more. She has her own small zoo, who she has trained for daily care and maintenance behaviors. She loves to do trick training with her horse, and also taught many tricks to one of her Patagonian cavies (a large rodent). She even ran a chicken training workshop to help her clients improve their training skills. If you have a pet – of any species – that you would like to train, Heather can help!